Don't Miss Out on the Daisy Punch! Don’t Miss Out on the Daisy Punch! I should have internet access while I’m there, so I will try to post pictures from the trip when I can. But for sure I’ll share all about it when I get back! 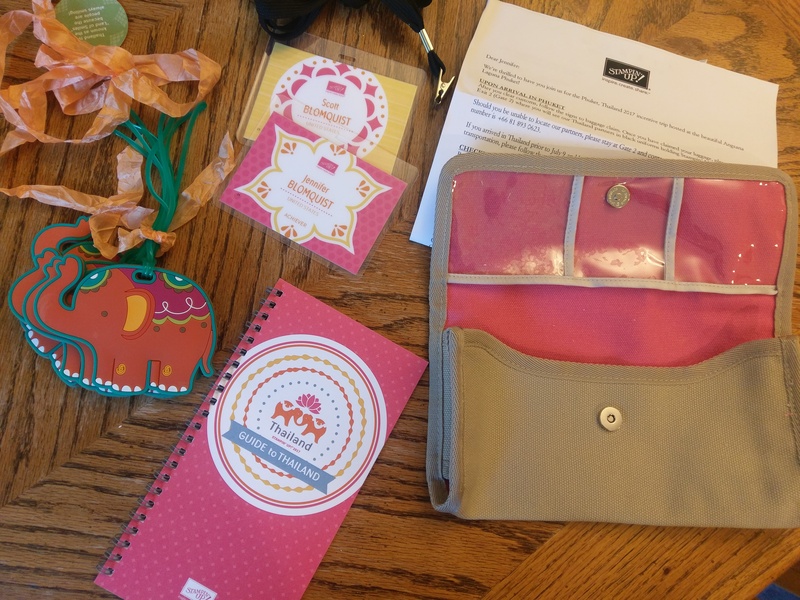 In the meantime, there are a bunch of big promotions and announcements coming from Stampin’ Up this month and I wanted to share with you the top two you should know about. TODAY is the LAST DAY to order the Daisy punch and bundle until August 1st! I just saw on the demonstrator website that the Daisy Punch has turned out to be the most popular punch they have come out with in the last 5 years. So popular in fact that they are having a hard time keeping it in stock. 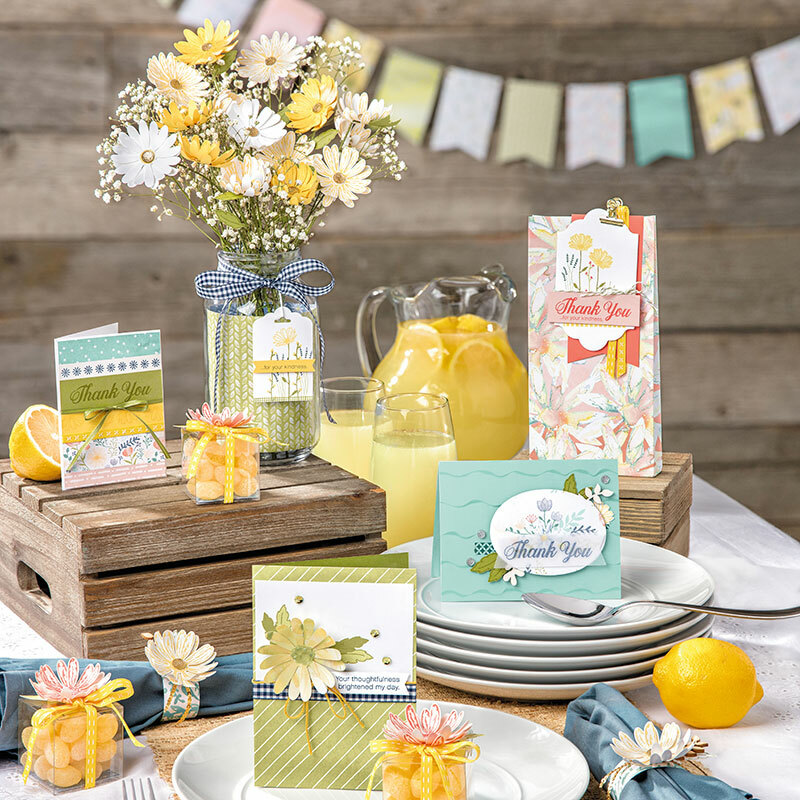 To avoid long backorders, Stampin’ Up will only be accepting orders for the punch and/or the Daisy Delight bundle through Friday morning at 8am MST. At that point, they will be taking it out of the online store until their next shipment arrives (expected to be August 1st). So, if you’ve been wanting this punch, don’t delay!!! SPECIAL BONUS! Use hostess code RU72XXS6 when you order it today and I’ll mail you a mini card kit with the supplies to make 2 cards using this bundle when I get back from Thailand! Getting the Punch? Get it as part of this amazing starter kit deal! Ok, remember how I told you there were more great deals this month, well, I HAVE to share with you what Stampin’ Up is doing with the starter kit this month! ON TOP of the regular starter kit! You pick out $125 of your favorite items from your wishlist – you’ll get these as part of the regular starter kit. You’ll get free shipping on your items and only pay $99+ tax! Get the sneak peek stamp set from the 2017 Holiday Catalog – Carols of Christmas added to your starter kit for FREE! Get an essentials stamping pack added to your starter kit for FREE too! Finish filling out your information and you are done! By purchasing the starter kit, you’ll become a member of my Fun n’ Crafty Stampers group with access to our exclusive team facebook group and monthly team calls. Plus you’ll have all the perks of being a demonstrator – a minimum of 20% off your orders, access to see the 2017 Holiday Catalog at the end of July and ORDER from it in August, join us at the big OnStage Live convention in SLC in November, connect with thousands of talented and inspiring demonstrators through a private facebook group and forums, and if you decide to share your love of stamping with others, you can earn extra cash and even trips with this! There is no obligation, so no risk in giving it a try and seeing what you think! So if you are thinking of getting the Daisy Bundle, consider getting it as part of the starter kit bundle and really stack on the savings! ok, now I’m headed back to finish packing up and seeing how compact I can be in my suitcase. 🙂 If you have any questions, please leave a comment or shoot me an email and I’ll connect with you soon.